…they DID get it wrong! In “What If They’re wrong?” Tony Puccio looks at why pre-Tribulation Rapture claims may be mistaken. In actual fact, 20th Century history disproves pre-Tribbers’ ideas! In his post linked below, R.J Dawson recounts his personal interest in those ideas and demonstrates why they were wrong. Esssentially, those theories failed to grasp not only scripture but also political events believed to have been of direct relevance. I’d heard of the best-seller R.J refers to, but being a New Ager in those days I thought ‘archaic’(!) Christians were jumping on the bandwagon of cataclysm/conspiracy theories. (The Lord had a non-Christian give me a businessman’s Biblical analysis of modern geopolitics, ‘The Invisible Hand’.) I understand those theories arose out of Reformed Theology’s deep disdain for the Roman Catholic church. As the ICEJ points out it was only on Saturday that a former official of Iran’s elite military leadership, the IRGC, bragged about attacking Israel (ie. Iranian Revolutionary Guards Corps). The statement came amidst a large-scale test of Iran’s missiles and radar systems which was conducted in defiance of a stark warning from the US that such activities violate UN Security Council resolutions and would not be tolerated. It was watching that forces’ rehearsal in mid-1980s of storming Jerusalem that I was introduced (as a non-Christian) to the reality and accuracy of Bible prophecy! Moreover, similar units of the Iraqi army were also involved AND at the height of the Iran-Iraq war – ie. whilst enemies! ALSO, whilst a video of their combined manoeuvres was being broadcast in that BBC documentary it so happened I was thumbing through a secular book I’d been given that explained the whole background, as outlined in Welcome and Bio. Hence my keeping an eye on Iran. More bad fruit from Obama’s furtive back-channel dealings with Iran, as reported in email 18 May 2009, plus their current harassment of US naval vessels in Persian Gulf. ADD to that leaked intelligence of Iran’s covert war in Syria run from ‘The Glasshouse’ near Damascus (Daily Mail). AND let’s never forget Iran’s 30 years-long ambition to attack Jerusalem, which is what stimulated my interest in End-Times! 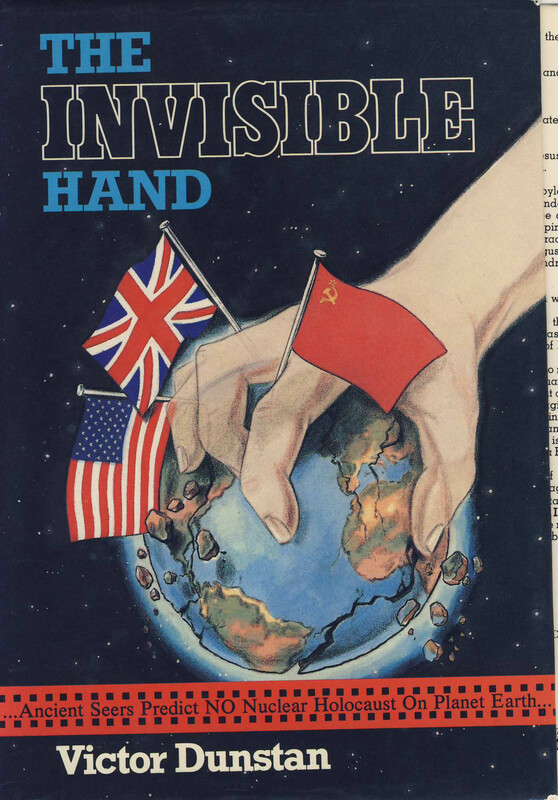 (See The Invisible Hand re-appears (2013) and again in 2015 for peculiar ‘coincidental’ way this fact pops up!) See Four ‘Signposts’ of the Books of Daniel and The Apocalypse for introduction to Mark Davidson’s thesis. The quote above was spoken by retired Army General Michael Flynn; this reported by a Reuters story. According to a report replaced by Washington think tank, the Institute for Science and International Security, the Obama administration and other European governments acted in secret to let Iran keep more of its enriched uranium so that sanctions could be lifted on time. The Obama administration (of course) denies this. Brussels bursts the balloon of theological speculation! Do this week’s dreadful events in Brussels expose theological errors on the rise of the Antichrist? In my opinion, yes. As there’s neither time or opportunity to expand upon this claim in depth let me stir your thoughts on a few points. 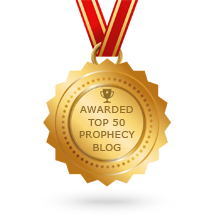 Students of Bible prophecy know theologians have long-held to the idea that scripture, especially the Books of Daniel and The Apocalypse, foretells the revival of the defunct, ancient Roman Empire. Consequently, the post-WWII Treaty of Rome and creation of the European Union was seen by most modern theologians and teachers on prophecy as the re-birth of that empire, from which the Antichrist would emerge as a world leader. The prophetic corpus explains all the disastrous consequences that would attend such a scenario as a result of a leader’s assumption of totalitarian power and subsequent attacks upon Jews and the state of Israel. However, since the turn of the Century an increasing number of scholars have posited a different explanation of prophecy; one more in keeping with the geopolitical realities about which it foretells. Namely, Israel and its Middle-Eastern milieu. That is, the nature of Islam makes it, or a part of it, rather than the EU the source of the person to fulfill that prophesied role. Previously I’ve noted the author of the book that started my journey, The Invisible Hand, drew attention to the modern ascendancy of Islam, although he followed others’ assumptions about the roles of Europe and of Russia. Even so, as shown in US Presidents’ Actions Relate to Daniel’s Visions, Victor Dunstan’s world scenario drawn in mid-1980s closes: ‘The personification of the Beast will take control of the revived Islamic Empire’! In fact, this week’s attacks upon Brussels, where the EU’s head is located, symbolise a spiritual conflict and contest between those two candidates for Antichrist!! And this precludes any consideration of the exceptional vulnerability brought about by European defiance of scripture in its anti-Israel policies, as considered earlier in this blog, and the latest illegality of which the Daily Mail published recently. ‘If Europe was truly the future power base of the Antichrist, wouldn’t it at least have some vestige of outrage calling for a military confrontation? Why aren’t the Germans, French, Belgians, Dutch and Brits calling for forming a 200,000-man army and smashing the teeth in of Islamic State, the source du jour of Islamic jihadists, um, I mean, terrorists? It’s because Europe is simply not the future power base of the Antichrist. Islam is. ‘Another day, another city, yet the script that started unfolding in Nairobi and Dar es Salaam in 1998 and that shocked the world on 9/11 in New York is the same — jihadi killers let loose on unsuspecting “infidels”. On Tuesday, Belgium’s capital of Brussels fell in line with London, Madrid, and Paris as Western capitals brought to their knees by jihadi terrorists seeking the annihilation of Western civilization. ‘As anger at the inability of Western countries to fight the spread of jihadi Islamism grows, the reaction of their leaders has numbed into cliché-ridden rhetoric…When (leaders) of the free world (are) careful not to name the entity that attacks the U.S. and its allies, how can we expect to defeat this evil cancer that keeps spreading? Let us pray also for all our political leaders and ministers to repent of repudiating Christ and that all resolve to uphold and follow rather than negate and ridicule Gospel truths – amen. …In the aftermath of the ISIS attacks in Brussels, will Europeans demand to know why European resources are being used to fund espionage against the IDF on the one hand, and Palestinian security services that commit murder and support jihad on the other? Just as Ad Kan’s revelations indicate that law breaking, while not intrinsic to the operations of anti-Zionist, EU-funded Israeli groups, so it would seem that while not intrinsic to anti-Zionist foreign policies, governments that are hostile to Israel tend to have incoherent and incompetent policies for contending with the threat of jihad. This of course, is eminently predictable. After all, if you believe that Israel is the cause of the pathologies of the Islamic world, then you will likely be blind to the nature of the jihadist threat and the danger it poses to your nation. Following the ISIS strikes in Brussels, both Israeli and American security experts spoke bitterly of the ineptitude of Belgian security services. It is not that the forces themselves are incompetent. Rather, the experts said, their political leadership refuses to allow them to take the actions necessary to protect their country. The Belgians, like their European brethren generally, refuse to deal with jihad. Instead of acknowledging and dealing forthrightly with the phenomenon, they seek every possible excuse to ignore it. According to senior government officials, the Belgians are among the most vociferous foes of Israel in the EU. Europe’s obsessive castigation of Israel is a central aspect of their jihad avoidance strategy. If Israel is to blame for everything, then they can save themselves by pouring billions of euros on the PA and by funding Israeli anti-Zionist subversives. Read also ‘ne-plus ultra’ journalist Glick on the EU’s illegal trade war on Israel.